Un-heated, strained honey, with all of the enzymes intact; this honey is a medical marvel as well as a culinary delight. 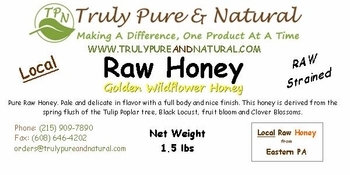 The honey has been carefully extracted from the honeycomb using centrifugal force, resulting in one and a half pounds of pure ecstasy. 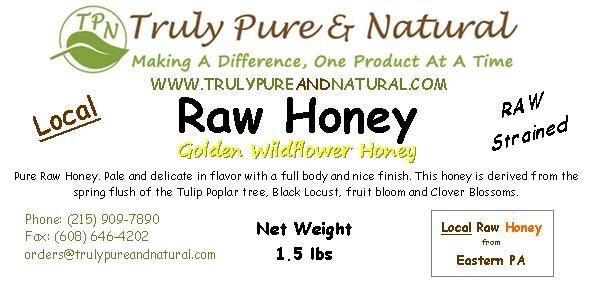 May be used for all honey needs or as a sugar substitute.